Did you girls get anything from today's Isetan Private Sale? If not, no problem. Robinsons Private Sale is coming next week! =) On Mar 13, 10.30am-11pm, get 10% off any beauty purchases (on top of existing 5/10% rebate). Plus you get to enjoy attractive GWPs as well. Clarins offers GWPs at Robinsons Raffles City from Mar 9 - 15. You will enjoy a 3-pc gift set with purchase of any 2 UV Plus HP products, and an additional 10ml Shaping Facial Lift Serum when you spend $180. From 9 - 11 March & 16 - 18 March. Shu Uemura at Takashimaya.offers a 3-pcs gift set with every $180 spent. 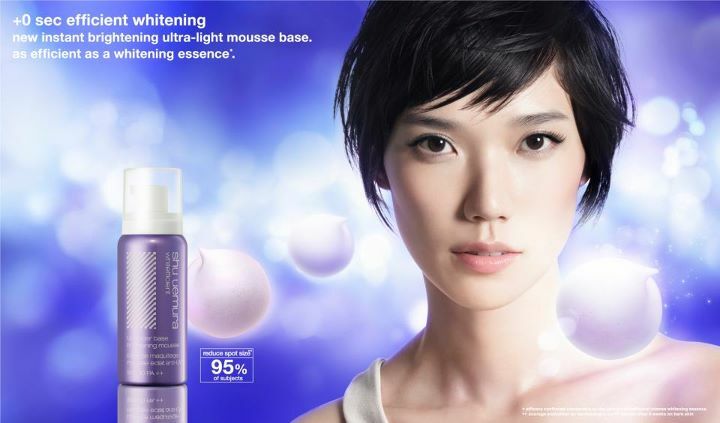 You get a choice of a whitefficient UV under base mousse 30g or a shu uemura makeover by their makeup artists when you spend more than $250. Makeover services upon appointment only. Only applicable to Takashimaya beauty counter. Makeover services must be redeemed within 2 months of purchase or be forfeited. Beauty Bridge is celebrating Spring with their March Makeover Sweepstakes. Make any purchase to enter for a chance to win a $100 gift certificate. Plus enter code first5 to get 5% off with your first order. Biotherm offers 20% off with any $65 order. Enter code SPRING at checkout. Valid thru Mar 16. Caudalie offers a free Gentle Cleanser 200ml worth $26 with any $75 purchase. Enter code PREMIER at checkout. Valid thru Mar 16. 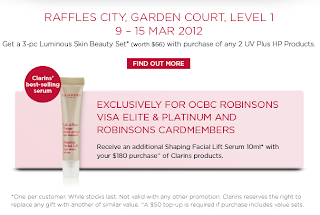 Clarins offers free shipping on any order. Enter code MARSHIP at checkout. Valid thru Mar 9. 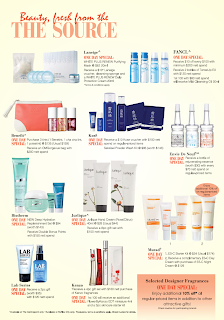 Clarins offers free Best Sellers sample Kit with any $85 order. Enter code SPRPREP12 at checkout. Valid thru Mar 9. Dermstore offers $20 off $100 purchase with code DSSAVE2, $30 off $150 purchase with code DSSAVE3, $40 off $200 purchase with code DSSAVE4. Valid thru Mar 12. Dr. Dennis Gross Skincare offers a free deluxe sample of Hydra-Pure Oil Free Moisture with any $50 purchase. Enter code WATER at checkout. Valid thru Mar 11. E.L.F. offers free shipping with any $25 purchase. Enter code SHIP25 at checkout. Valid thru Mar 12. Estee Lauder offers free deluxe samples of Advanced Night Repair Face and Eye with any $50 purchase. Enter code GROUNDBREAKING at checkout. Valid thru Mar 12. Juice Beauty offers free shipping and $5 off any $35 purchase with code 5SAVE; $10 off any $50 purchase with code 10SAVE; $20 off any $70 purchase with code 20SAVE; $25 off any $100 purchase with code 25SAVE. Valid thru Mar 13. Molton Brown offers 25% off any skincare order. No code needed. Valid thru Mar 18. Plus they are offering 25% off on selected hand wash and candles as well, valid thru Mar 11. Philosophy offers 50% off philosophy's birthday kit - a savings of $50. No code needed. Valid for Mar 9 only. Pur Minerals offers a deluxe sample of Tinted Moisturizer in your shade with any $25 purchase. Use code TINTFREE at checkout. While supplies last. QVC offers 3 Easy Payments or more on every product. No code needed. Valid for Mar 12 only. 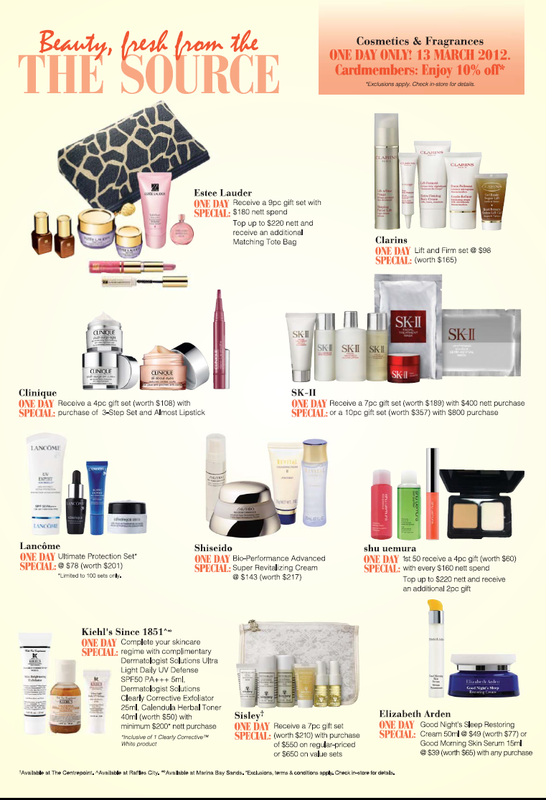 Sephora coupon: With any $25 purchase receive two free Koh Gen Do Cleansing Spa Cloths. Enter code SPACLOTH at checkout. While supplies last. Shu Uemura coupon: Free shipping with any purchase. Enter code FSHIPPING at checkout. Expires March 11. Registered members can choose a free deluxe sample at checkout. Skin One offers 12% off any purchase. Enter code MAKEUP12 at checkout. Valid thru Mar 15. Stila offers free shipping for any purchase of Stay All Day 10-in-1 HD Beauty Balm. Enter code BEAUTYBALM at checkout. Valid thru Mar 11. Time to Spa offers free gift card with purchase. Spend $100 to get a $20 gift card with code MYSPA20; Spend 200 to get a $50 gift card with code MYSPA50 at checkout. Valid thru Mar 9. ULTA Beauty offers a free The Body Shop Mini Coconut Body Butter worth $15 with any $25 purchase. No code needed. You need to add the gift to your cart before you check out. While supplies last. ULTA Beauty offers free shipping with any $25 purchase. Enter code MARCH2DAY at checkout. Valid thru Mar 9. Yves Rocher offers $10 off any $40 order. Enter code THANKS10 at checkout. Valid thru Mar 11.